What’s The Matter With Eastern Washington? I don’t know about you, but I found the “official” Republican Party response to Pres. 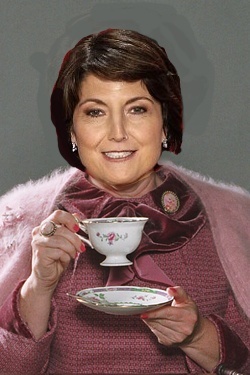 Obama’s State of the Union address by Representative Catherine McMorris Rodgers more than a little creepy. As I listened, patiently waiting for anything resembling either a response to the President’s speech, or, as unlikely as it might be, a new idea to emerge from the party of “just say no”, I had an unsettling feeling that she reminded me of someone. And then there was Cathy McMorris Rogers, who was not nutty, but who, I believe, was attempting to sell me a dinette set. Also, can I just say to the nice furniture lady that I’m happy that she and her retired Naval commander husband both had that sweet government health-care so that their newborn son’s pre-existing condition wasn’t the kind of hardship it is for parents who are only now, through the Affordable Care Act, able to stave off financial disaster in similar circumstances. I guess I saw her speech as more malevolent because I’m aware of where she’s from and who her constituents are. She represents Eastern Washington, the poorer side of the state. Her home is in Stevens County which had an unemployment rate 30% higher than the national average last year. One in six people live below the poverty level and 20% are on food stamps. The leading employer is government, providing 3,023 of the 9,580 non-agricultural payroll jobs last year. …in her district, people are flocking to Obamacare — well beyond the national average. Though she has been screening town hall meetings to highlight only critics of the new law, her constituents are doing something entirely different in making their personal health decisions. McMorris Rodgers clearly votes against the welfare of her constituents, so why is it that she continues to get re-elected? Egan suggests that it is the “What’s the Matter With Kansas” premise, based on the Thomas Frank book documenting how poor whites choose cultural and social issues over economic ones at the ballot box. It is true that McMorris Rogers beats the anti-abortion drum incessantly. As was the case in her Republican response, her unrelenting message is to blame the “liberal elite” for attempting to limit our freedoms. In the logic of this “frame” Progressives/Democrats/Liberals are “Un-American”. In order to explain to the “Cons” why no progress gets made on these issues, politicians and pundits point their fingers to a “liberal elite,” a straw man representing everything that conservatism is not. When reasons are given, they eschew economic reasons in favor of accusing this elite of simply hating America, or having a desire to harm “average” Americans. Republicans approve of the American farmer, but they are willing to help him go broke. They stand four-square for the American home–but not for housing. They are strong for labor–but they are stronger for restricting labor’s rights. They favor minimum wage–the smaller the minimum wage the better. They endorse educational opportunity for all–but they won’t spend money for teachers or for schools. They think modern medical care and hospitals are fine–for people who can afford them. They consider electrical power a great blessing–but only when the private power companies get their rake-off. They think American standard of living is a fine thing–so long as it doesn’t spread to all the people. And they admire the Government of the United States so much that they would like to buy it. For some reason, many average Americans continue to fall for the same Deloris Umbrage double speak. And so it goes…. UPDATE Here is the lowdown on “Bette in Spokane” who was the one example McMorris Rodgers cited of the ACA not working. It doesn’t feel to me like, as an Idaho citizen, that that is the case,” said Bedke. He shook his head, perplexed.”It doesn’t feel like that to me here. … It doesn’t feel like we are in the 50th position here. Just this week, Speaker Bedke proposed taking away Idaho’s grocery tax credit—that’s $80 million—to give to the rich and well-connected. He says it is to attract business—even though that exact strategy has failed Idahoan’s again and again. Idaho’s former chief economist says families of four earning more than $117,750 would see lower taxes, should lawmakers adopt House Speaker Scott Bedke’s proposal to shift money from a grocery tax credit to individual and corporate income tax cuts. Mike Ferguson, chief economist for six governors including Gov. C.L. “Butch” Otter, said Thursday families earning less would likely see a higher tax burden, according to his calculations. For instance, Ferguson said somebody earning $50,000 would see their tax liability increased $305, based on his analysis of Bedke’s proposal, which Otter says he’d at least consider. Bedke’s plan would leave the grocery credit intact for families earning 138 percent of the federal poverty line, or $32,499. Ferguson now heads the Idaho Center for Fiscal Policy, which analyzes budget and tax policy. Bedke would do well to get out of his wealthy Republican bubble and talk to some actual “Idaho Citizens”. It didn’t occur to me until I happened to watch Idaho Governor Clement Leroy “Butch” Otter delivered a speech with the audio off. Suddenly it became crystal clear that Otter had the look and all the mannerisms of the televangelist, or one of those marketing/motivational gurus like Tony Robbins who want to convince you that success is all about having a positive attitude. The resemblance is more than just looks. Otter is a classic snake oil salesman trying to sell Idaho’s citizens that, thanks to his administration, the Idaho economy is in good shape. 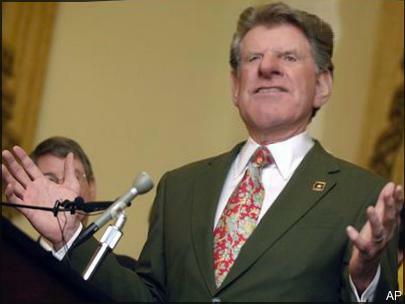 Here are the facts: Governor Otter has presided over the tanking of the economy in Idaho. The state is currently 50th – dead last – in wages and personal income. Idaho is tied for last with Utah in educational investment. The state does lead the nation in one area, however, minimum wage jobs. Yes, after 20 years of uninterrupted GOP rule Idaho’s families earn less than in any other state, 50th, the bottom. The unwillingness to adequately fund education has put Idaho into what Bob Lokken, CEO of WhiteCloud Analytics, calls a “Death Spiral“. “I would contend that puts us in a little bit of a death spiral,” said Lokken, whose company specializes in health-care software. He spoke at the Boise Metro Chamber of Commerce’s annual luncheon for legislators. Idaho ranks at the bottom of the states in per-capita income and leads the nation in the percentage of its workforce earning the minimum wage. “This is the death spiral: I am trying to grow a knowledge-era business in the state of Idaho, and I can’t find the critical knowledge workers I need,” he said. an alternative budget to Gov. C.L. 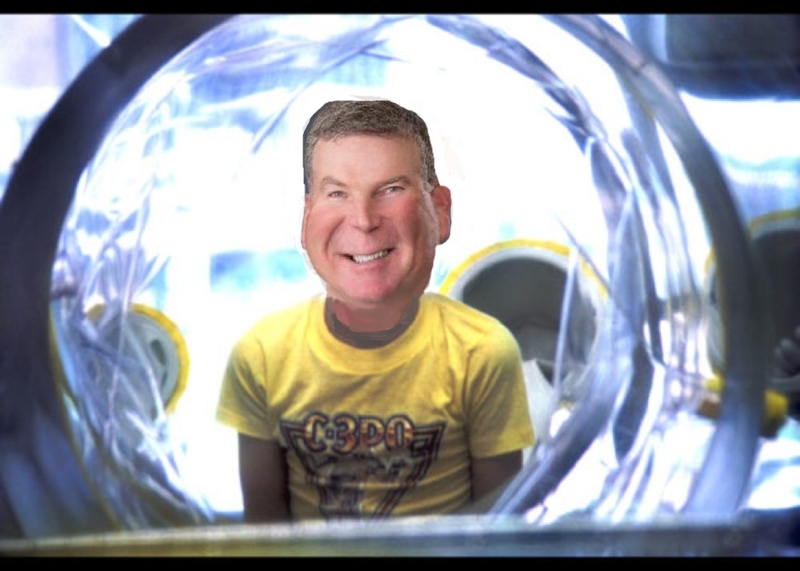 “Butch” Otter’s executive budget that would put more funding into the public school system and restore $35 million in cuts to the state’s Department of Health and Welfare budget. It is intended to show that Idaho does have the resources in fiscal year 2015 to provide meaningful funding increases to Idaho’s public schools, to restore significant cuts that were made to health and human services … and to provide a long overdue boost to employee compensation for thousands of hard working state and school district employees. – Does not transfer $71 million to the state’s “rainy day” stabilization funds, as outlined in Otter’s budget. Under this scenario, more money could fund state services while Idaho would still have about $291 million in reserve funds, Ferguson said. Otter said in his State of the State address that money is needed in reserves to prepare for future economic downturns. – Removes $30 million in unspecified tax relief as proposed in Otter’s budget. – Gives a 4 percent increase in employee compensation. Otter’s budget marks the sixth consecutive year without proposed raise for state employees from the governor, Ferguson said. That increase would cost $21.5 million for state employees and $36.8 million for school employees. – Restores the $34.5 million in one-time spending for public schools for teacher pay and operational costs from Fiscal Year 2014 and makes that money a permanent allocation. – Expands Medicaid for a net savings of $42.4 million to the state’s general fund. That figure does not include an additional savings of $34.7 million to at the county level, Ferguson said. Anyone familiar with Idaho politics understands that the likelihood of Ferguson’s budget actually begin enacted into law by the intransigent Republican dominated Idaho legislature is slim-to-none. But, hope springs eternal. 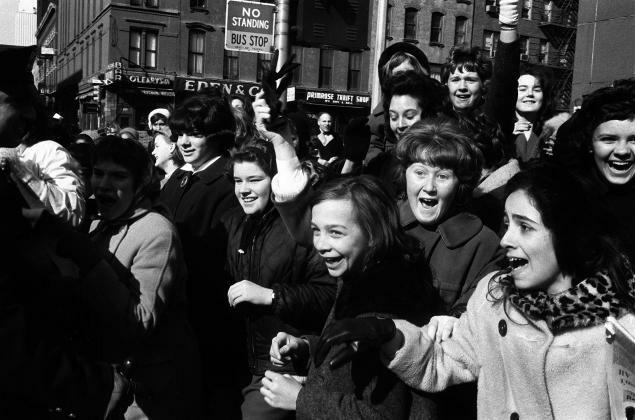 50 years ago next month The Beatles arrived on America’s shores and began the “British invasion” that revolutionized American rock ‘n roll. What is frequently ignored is the extent to which the British bands gave American teenagers sanitized covers of African-American blues and rhythm and blues. Over 20 of the songs recorded by the Beatles in 1963 and 1964 were covers. Of course, this simply continued the practice that started from the first when white artists covered the rhythm and blues hits of black artists. A sanitized version of Hank Ballard and the Midnighters record, Work with me Annie, was recorded by “Her Nibs, Miss Georgia Gibbs” as Dance With Me Henry; and Pat Boone, with his white bucks, sweater, and perfectly combed hair, had huge hits with lifeless covers of Fats Domino’s Ain’t that a Shame and Little Richard’s Tutti Fruiti. In all cases, the white cover versions of the Black originals were “pale” imitations of the real thing. Although Fats Domino and Little Richard crossed over to become stars with white audiences, some of the original artists remained obscure and virtually unknown. One such artist was Johnny Adams. Most people associate the song “Please Release Me” with Engelbert Humperdinck, who had a huge hit with the song in 1967. Listen to Johnny Adams original version below and you will hear the way the song was meant to be sung. Were he still alive, my father would be 100 years old this May. He was born at the family farmhouse in Smith Center, Kansas. Because he was born at home with the help of a neighbor acting as a midwife, he had no birth certificate. The first time it was a concern was when he joined the Navy prior to World War II. As I recall, he had to get “affidavits” from a number of people in order to get a “delayed” birth certificate. Of course, in subsequent years data about his life were collected including: marriage license, social security, census, real estate records, employment records, health insurance, pension plans, and, finally, death certificate. Was 2013 the year online privacy died? Or was it the year that people paying attention realized that their online lives—and all their data and communications—was low-hanging fruit that was being picked and parsed by big government and big business? Today it is common knowledge that data are automatically and silently being collected by businesses and governmental agencies to track our behaviors online. For many of us, this is a dangerous invasion of our privacy. For others, however, data mining presents incredibly exciting opportunities. The leading-edge of this group are part of the newly emerging “Quantified Self” movement. The Quantified Self movement has individuals dispersed throughout the world -self-quantifiers- who are not only producing troves of data by virtue of simply going about their daily on-line business, but who are becoming conscious consumers of the data they produce. So, for example, using various data collection devices along with computer applications, they can see if physical activity data collected on weekdays result in more exercise and more sleep than on weekends. They can then begin to hypothesize, form some sort of explanation, as to why a difference may or may not exist. In other words, they can use personal data to conduct scientific, statistical analysis and use the results to make changes in their lives. The term “Quantified Self” is attributed to Gary Wolf and Kevin Kelly, editors affiliated with Wired magazine, who used it informally in 2007 as the name for a local collaboration of users and technology toolmakers who are interested in automating the collection of data. As public awareness grew and as new devices and technologies are becoming more familiar to consumers, the Quantified Self movement grew dramatically. Today, QSers communicate through local “MeetUp Groups” in many cities throughout the world and through a Web Site where community members share information through forums and videos. There are also annual conferences in America and Europe where “the global community of self-trackers and tool makers can meet and share”. The 6th annual QS European Conference will be held this May in Amsterdam. I find the QS movement tremendously intriguing. There are any number of interesting implications surrounding what it means to quantify yourself. To what extent are you your data? In September I started using a fit bit activity tracker. Just one of many devices that allow anyone to begin to track and analyze personal data, the fit bit allowed someone like me to dip a toe into the QS movement without tremendous time or effort. I will talk more about my personal experiences in subsequent posts. If any of you have had your own experiences with self-tracking let me know. Phil Everly died this week. The close harmony that was the inspiration for so much of early rock & roll, including many of the artists of the British Invasion of the 60s ( The Beatles, Hollies, etc. ), died with him because no group has ever able to recreate the magic of the Everly Brothers. I could have included a clip from one of their many hits, but here is their version of the beautiful “Kentucky”. It highlights their angelic harmony.